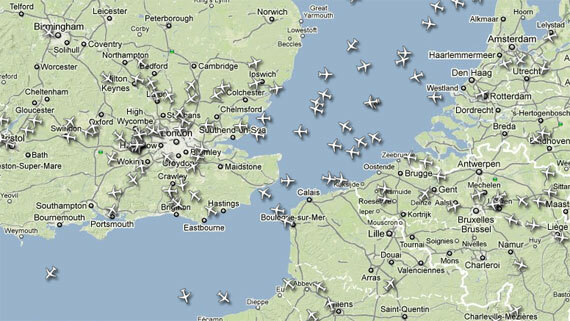 RadarVirtuel is a real-time online plane tracking system. It shows currently flying planes mapped to their current position over the land. Each plane is clickable, allowing you to view info about it – flight number, airline, aircraft type, departure, destination, speed, altitude, etc. The information is updated every several seconds, allowing you to follow the planes’ current position in real time. Built on top of Google Maps, it allows you to drag the map, zoom in on a territory, show underlying land as a map, satellite photo or terrain, etc. This entry was posted on Friday, March 18th, 2011 at 15:47	and is filed under Apps & Services. You can follow any responses to this entry through the RSS 2.0 feed. Both comments and pings are currently closed.